‘Scorpion Milk’ by Arktau Eos, a work that was originally released in June 2006 is re-released through our Stellar Mansion series. 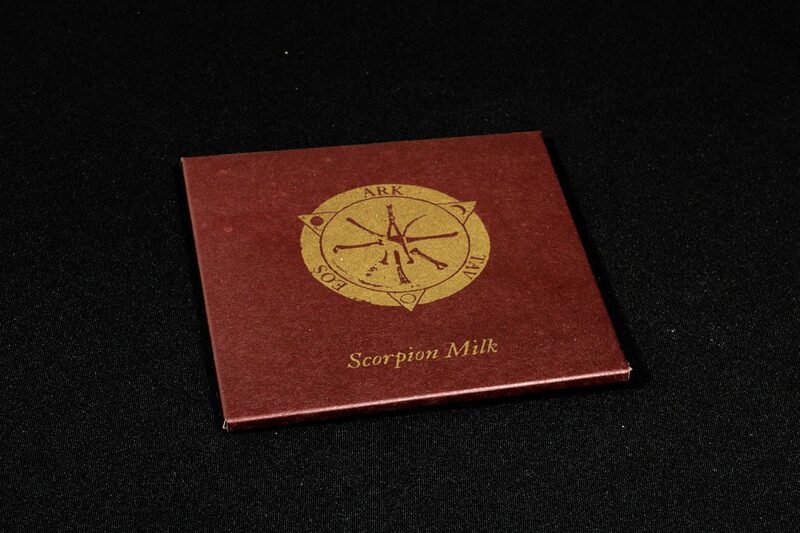 ‘Scorpion Milk’ consists of a single album length track, which is best apprehended in a meditative state with minimum outside interference. It is a shadowy companion of the ‘Mirrorion’ album, the candle-bearer who responds to no call but silence itself. The music can be likened to a dark well, the oily surface of which not only reflects the phantasms of mind recalled through participation in the ‘Mirrorion’ cycle, but is occasionally broken by scorpionic surges of primal Power invigorating the act of contemplation. Performed and mixed live by using mainly obscure electronica on a reel tape, it is the antithesis of the sterile, lifeless sound and attitude of our times; a connoisseur’s choice that stands alone despite its undercurrents flowing from the heart of ‘Mirrorion’. 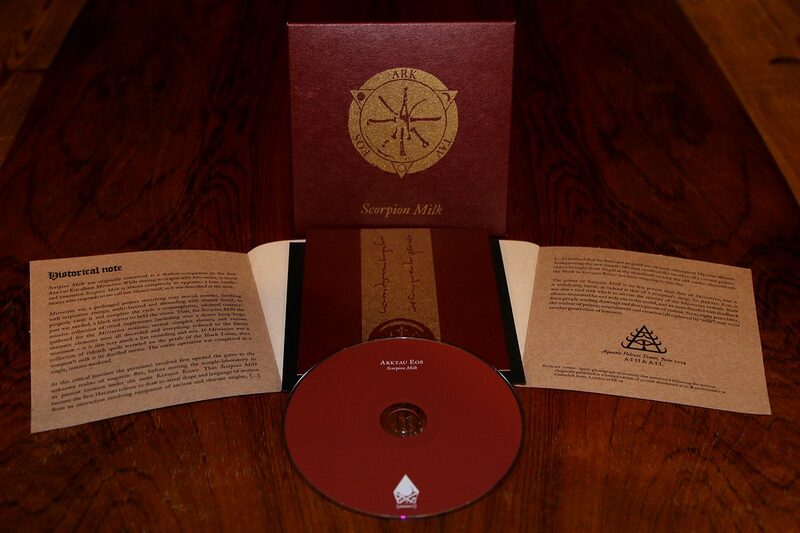 The album is enclosed inside a newly designed cardboard covers including a 8-panel booklet and a silk-screen printed insert card. Limited to 500 copies.